Happy Wedding Anniversary, Kelsey + Stuart! On this day one year ago - Kelsey and Stuart were saying their "I Do's!". These two lovebirds have officially been married now for one year - happy anniversary to them! 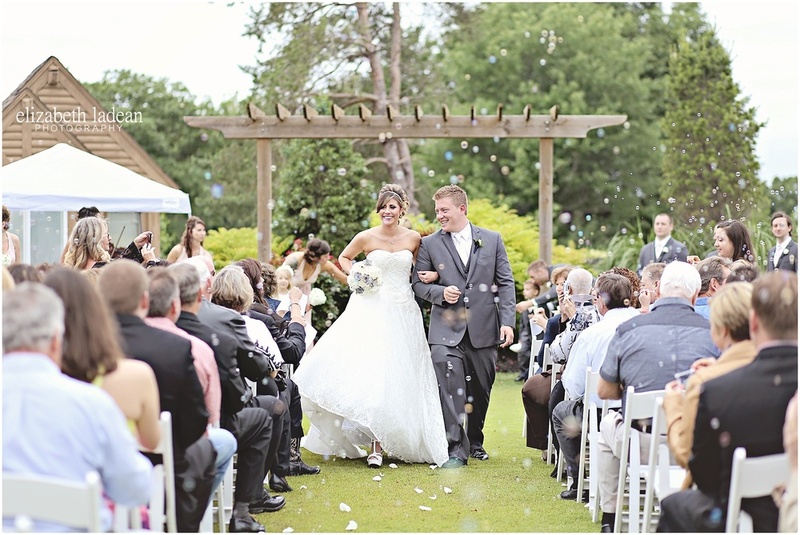 These guys had a nice cool May wedding day with an outside ceremony at Deer Creek Golf Club, and their recessional - FULL OF BUBBLES - still holds as a high ranked favorite shot of mine of my career! So much happy! I'm so fortunate to have not only been the photographer to document the love story of K+S, but to also know these guys personally! They're both such awesome people, and I'm so happy that they tied the knot! See Kelsey + Stuart's Wedding Day story and more photos! Happy Wedding Anniversary to Sammie + Austin! !